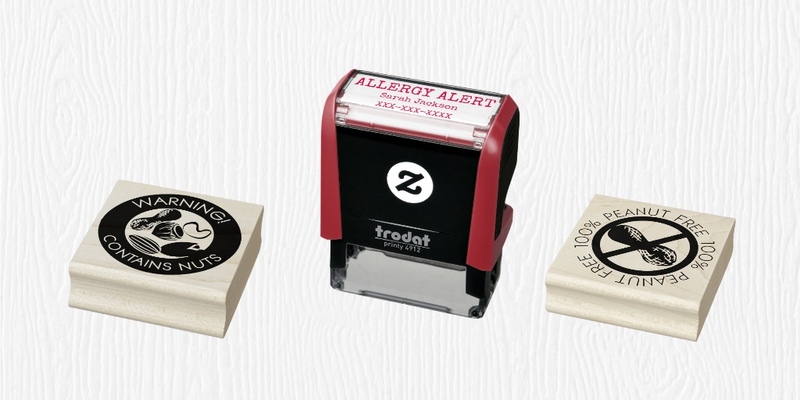 Shop our online store through Zazzle to order allergen symbol self-inking stamps and rubber stamps. Choose from self-inking stamps in a variety of colors or rubber stamps with or without a handle. 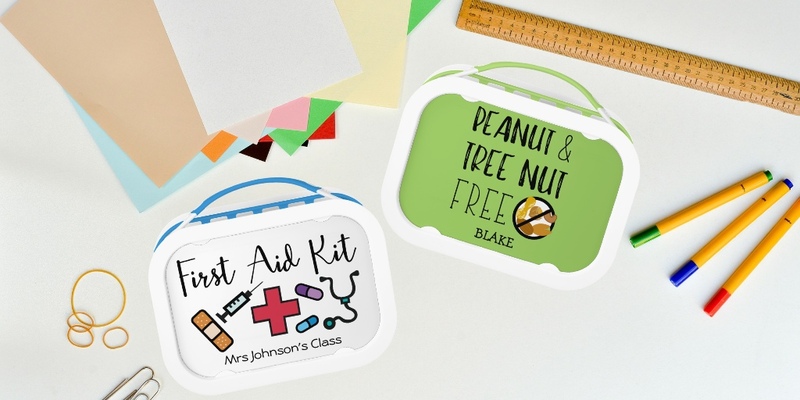 These stamps can be used to label your child’s brown bag lunches, school supplies or special treats. 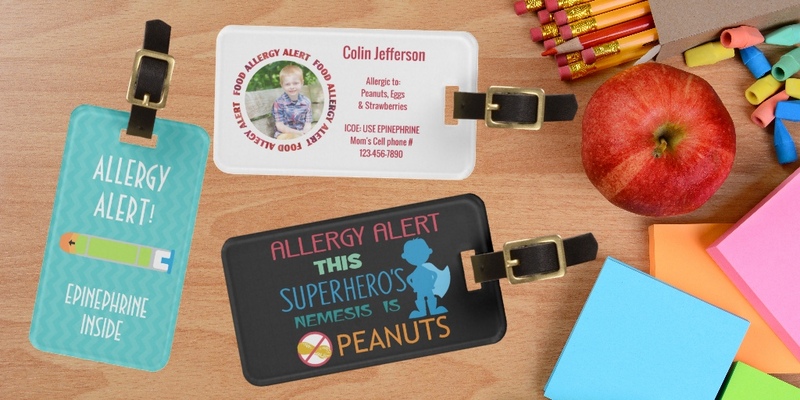 These make great allergen ingredient labels for a home-based or storefront bakery. Both the self-inking and rubber stamps are available in a variety of sizes. 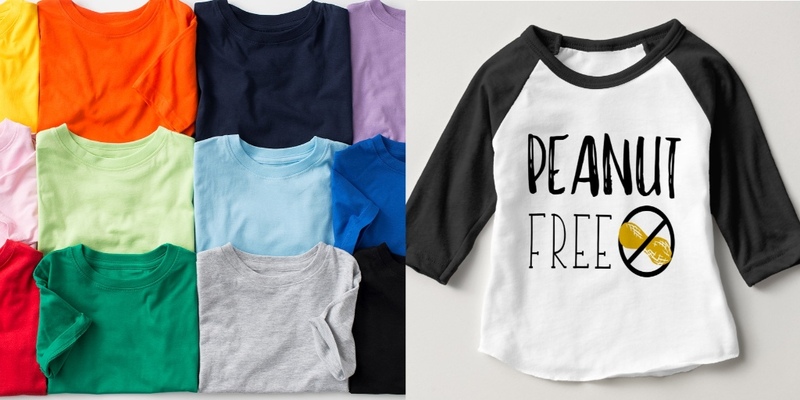 These are a new product, and we are adding more designs soon. Contact us if you have questions or would like to request another allergen symbol or design.